+10 on the open comb - my current Gem razor has it. Is there supposed to be a link or a picture with this post? Which Ikon model do you mean? Hahaha I thought I attached it. 6, u enjoying your gem. It just looks daunting, I don't think I'll ever dare to go for a gem. Just bought the Ikon. A little underwhelmed it is an American product, not Japanese or German. I'm sure it's a fine thing; I just don't associate fine things with America. It may not be in the same league as Feather but its a third of the price. The Feather AD-D2 i think is too close to EJ 89 in terms of aggressiveness. 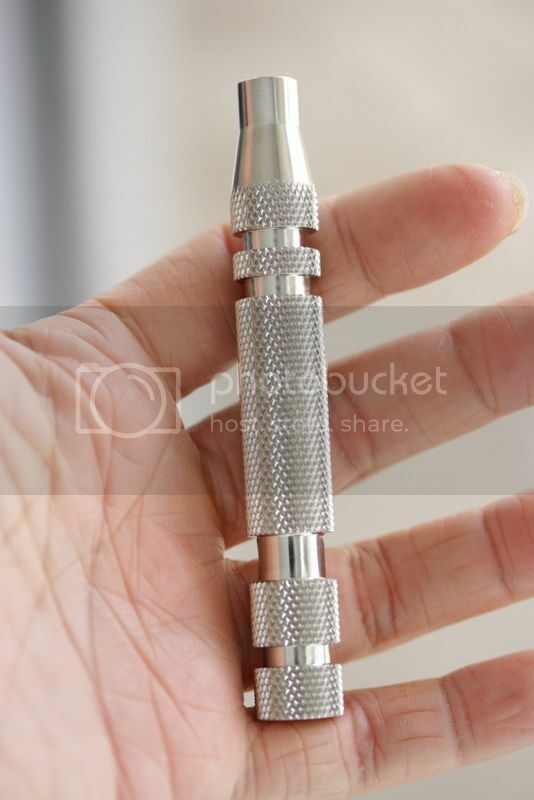 I've been having this acute need for a razor for the travelling bag for when I'm at the hotel or otherwise not at home. Hence this Ikon. I'm also thinking I should get a set for my father as a gift, but the older people get (like my father) the less they seem to care about these things. The older they get, the less preoccupied they are with things and the more preoccupied they are with people and organizations. I got the Gem mircomatic open comb model. I really like it - nice change of pace from the DE razors. I won't say its that much better, like some reviews will have you believe. It just does its job. Nicely. I've come to realise I really appreciate more aggressive razors, whatever the razor. The open comb design is really efficient at allowing shave cream and cut stubble to pass to the back of the razor - so you can essentially have quite a few passes without having to rinse off the razor. Pic from Badger and Blade forums. I have the same model, and pretty much the same condition - roughly 4/10 when I got it. Nice and cheap from ebay - gave it a vinegar soak to get some rust off, then soaked in rubbing alcohol to sanitise. I travel with my DEs, 1 dont think i can switch back to cartridge. Brush wise get a synthetic from whipped dog so cheap. Synthetic pretty good for traveling dries faster and makes lather so easily. If i had found Whipped dog brushes earlier id probably have less brush. The best bang for buck brushes. Their silvertip is awesome. There was nice razor leather pouch on ebay which was so reasonably priced. My Ikon arrived today. Best shave I ever had. However, I find the handle to be ridiculous. It looks and feels like a torture device. It is extremely rough and abrasive, and about twice the weight of the EJ handle. It is very Texan/American; like an industrial device used in a car workshop. I have to find an alternative handle. Suggestions? Tempted to buy this just for the handle. Should clean up well. Glad to hear you like it. The EJ89 is good starter razor but when you get something better it just opens up a whole new world. Open comb totally different animal it shaves is so close and so smooth. That handle is quite sought after, some ppl bought the shaver just for the handle on Mass drop. In typical B&B fashion YMMV. The razor/handle you eyeing is the old type. Be wary it might not fit your ikon, I've got the New, it's extremely hollow and light, Ikon has several handles i doubt you'd be keen on any of them and theyll probably cost more than your razor now. nearly exhausted my Rapira blades and buying online nowdays is just too expensive for me. @ Zinzan I've been using EJ89 for 3 years now and i feel like i need a closer shave...any open comb head you know off that can fit into my EJ handle?.. Lord Tajam is available at Haniffa Masjid India, it's been posted by 6 before in this thread. I'm not sure thats the same Lords you're looking for. I'm loving my Muhle R41 at the moment, this razor really cured my RAD. Its the most the aggressive razor in current production, i dont think its steep learning curve with this razor but u do have to be patient to tame it. This is the only razor that completely remove the stubborn growth on the side of my chin. Considering Muhle manufactures for EJ (if i remember correctly), they could fit each other i would presume. I cant test to let u know for sure cuz i've loaned out my EJ. R u planning to buy just the head? With the handle, it doesn't cost that much. But generally ppl on the B&B would buy the whole razor and experiment with the different handles unless they know for a fact they fit then they'll just buy the head. If you want to go vintage OC route i say go for Gillette New, thats really smooth. U can get a good a specimen for USD 20-30 on ebay. Dude... i've exactly the same problem with the side of my chin.. I've got through numerous brand of blades but still having the same problem thus thinking a more aggressive shaver cud be the answer. Thanks for the info Zinzan. Hmm..Simpson Chubby 2 brush on massdrop for $155. Pretty good price - I normally see it go for $200. You should list the razors you have in your forum sig. What is a good starter set of stuff to acquire, that's not so pricey? Have been increasingly frustrated with the gilette razors, and the replacement blades are incredibly priced for what they are. 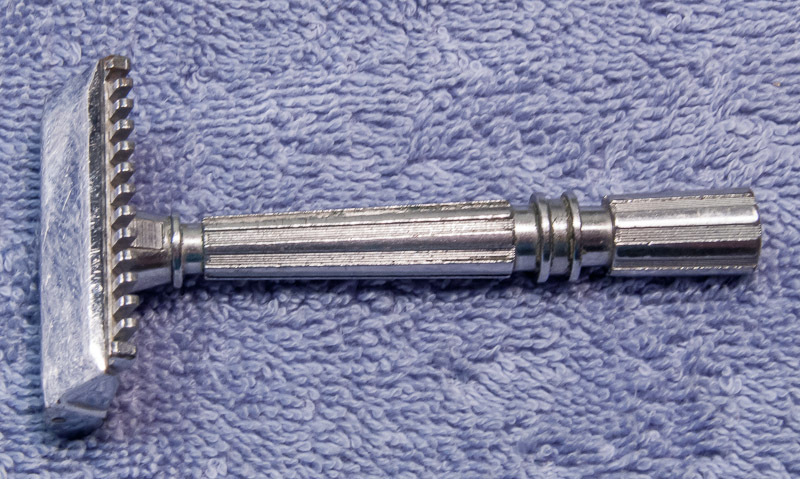 The Edwin Jagger EJ89 in chrome was the first razor. Nothing wrong with it, good solid DE razor. Looks pretty, and easily available. Then I switched to a vintage Gilette adjustable ("slim" model). And now a GEM micromatic open comb. For all my DEs - my preference is the japanese feather blades. EDIT: Welcome to the light. The EJ89 is a very well-built DE which is just difficult to shave wrongly with, even for a newbie. Alas, I have left the clean-shaven look altogether; I find that it takes way too long for me in the morning. I have the EJ 89 and the Muhle 45R. I started with the 89 and acquired the 45R about a year ago. The longer shaft of the 89 feels more familiar for someone coming from a Gilette cartridge environment, but over time, i have grown to like the shorter shaft of the Muhle. Both still in use on rotation. But the smaller 45R is a tad easier to manoevre.